The ruling All Progressives Congress says “at this time” it has no response to the blistering remarks by former President Olusegun Obasanjo asking President Muhammadu Buhari not to seek reelection. Mr. Obasanjo, in the statement Tuesday entitled, “The Way Out: A Clarion Call for Coalition for Nigeria Movement”, said Mr. Buhari as well as his party, APC, had become a disappointment, faltering even in the major boast of his administration — anti-corruption campaign. Citing the scandalous recall of fugitive pension task force head, Abduralsheed Maina, to public service, Mr. Obasanjo accused Mr. Buhari of nepotism and inability to instill discipline “in his nepotistic court”. 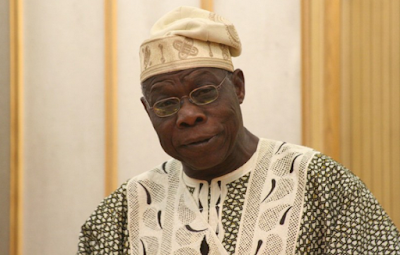 Mr. Obasanjo also slammed Mr. Buhari for his “poor understanding” of Nigeria’s social-political dynamics, saying his leadership has widened division and inequality in the country. This has effect on general national security, the former president said.